This massive 8.3 GB collection (3.4 GB of 24-bit WAV files) of Electro-Pop and Pop-Rock Styles is a showcase of artists and groups like Tegan and Sara, Metric, Phoenix, One Republic, Imagine Dragons, Passion Pit, M83, Ellie Goulding, Capital Cities, Fun and so many more! 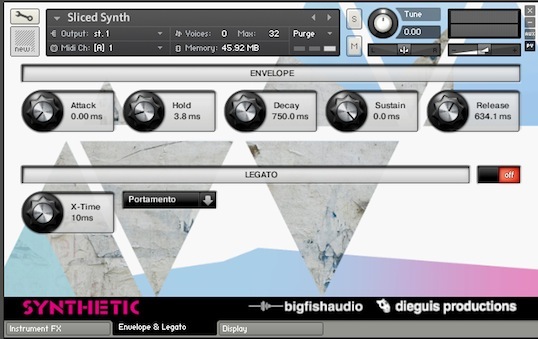 Synthetic contains an enormous collection of Instrument Kits that give you the freedom to simply use one layer of the instrument by itself or increase the depth, complexity and beauty by adding additional complimentary instrument parts. 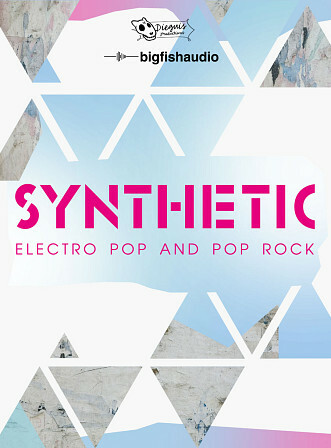 Synthetic includes Male Vocalists (Dry and Wet), Electric Guitars (Clean, Distorted and FX), Acoustic and Electric Drums, Melodic and Non-Melodic Percussion, Synth Bass, Keys, Synths, Pads and so many additional instruments that provide you with today's Electro-Pop and Pop-Rock sound. 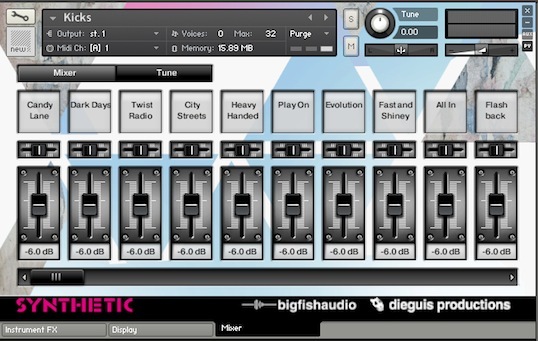 By giving you the ability to add the amount of depth and texture needed, along with multiple variations and rhythmic figures, Synthetic gives you total creative freedom and allows you to tweak to your hearts content! Synthetic contains Drum and Percussion Elements which give you the freedom to create amazing drum and percussion grooves quickly and easily. 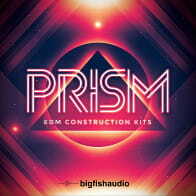 Drum and Percussion Elements contains individual drum kit and percussion pieces (kick, snare, hi-hat, toms, cymbals, shaker, tambourine, sticks and many more) that you can use individually or mix n match to create an unlimited variety of drum and percussion grooves and rhythmic textures. There's also an enormous selection of Drum and Percussion Hits which have all been recorded with multiple velocities insuring dynamic performances every time! 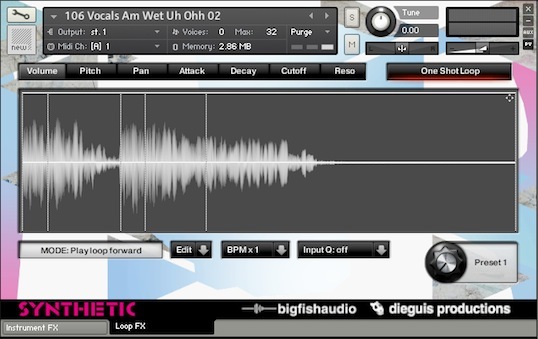 Synthetic also includes Multi-Sampled Instruments including Synth, Bell, Mallet and Pads for you to mix n match, remix and adjust anyway you like it. 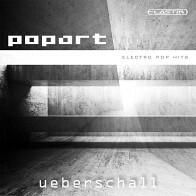 Let Synthetic spark your creative flames and inject your projects with the attitude of today's hottest Electro-Pop and Pop-Rock music with the flair popular music from the 80's. 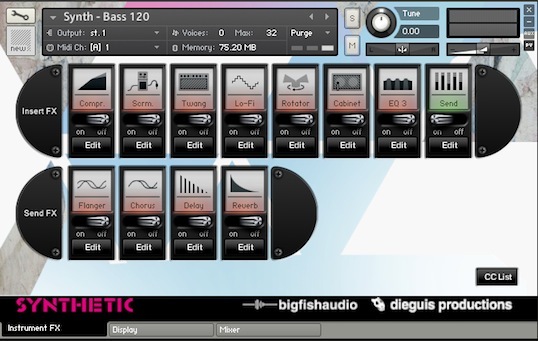 Synthetic Kontakt patches (Kontakt 4 and Kontakt 5) are part of Big Fish Audio's KLI Series and includes a custom user interface with various features to help make it easier to customize the include loops and sounds exactly how you want. The Textured series is a compilation of sonic layers that embody emotional elements of realism and fantasy, fused to create tracks so full of life, you'll be able to feel the soul of the music as it comes alive. This series knows no musical boundaries and enhances all musical genres its placed with. So whether your needing a few rhythms and textures to add dimension to your existing tracks or want that one of a kind melodic hook that can jump start the creative juices. The Following End User License Agreement is included with Synthetic. 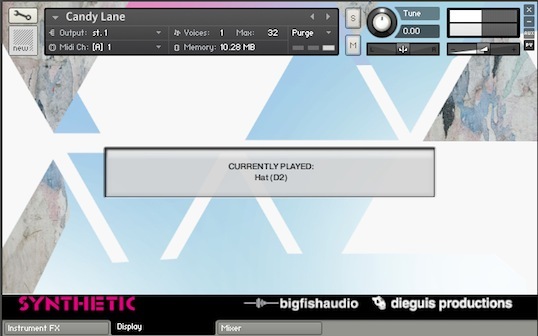 This License is only valid for the individual who has purchased an unopened, new and lawfully made copy of Synthetic from a dealer or distributor authorized by Big Fish Audio.